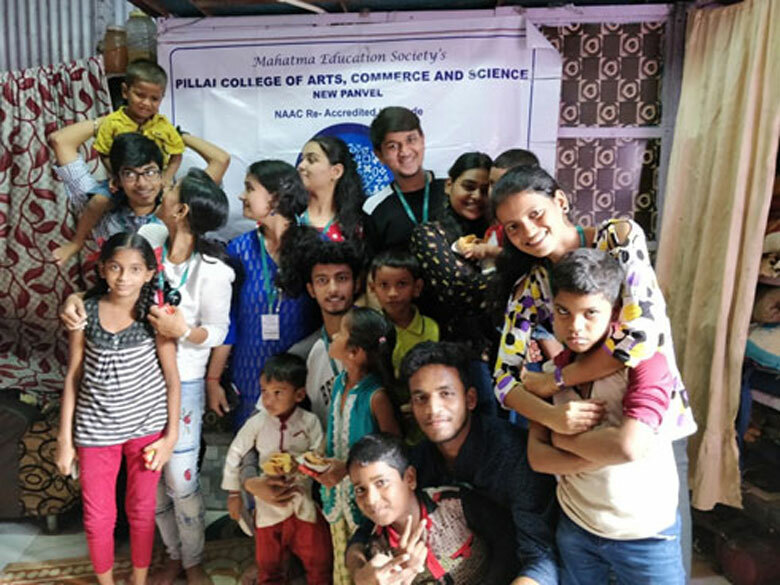 Mathematics and Statistics Association of Pillai College of Arts Commerce and Science conducted a Math Fest EXCELSIOR 2019 on 17th January, 2019. 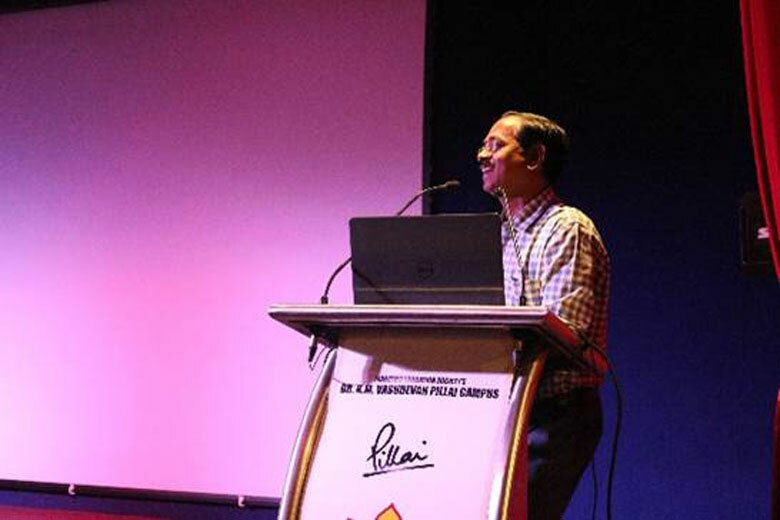 The fest was inaugurated by Dr. Gajanan Wader I/C Principal of PCACS along with delivering an inaugural speech. Various events were organized by the association members along with many entertainment programs which made the program more lively and colorful. 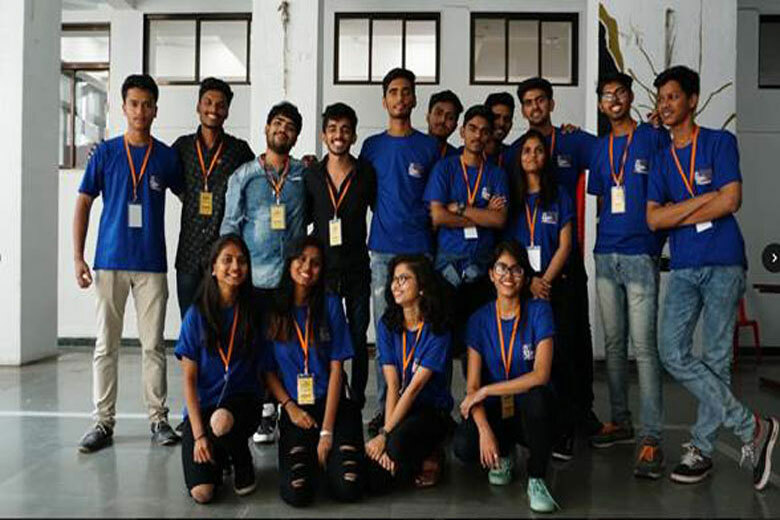 There were five events organized in the fest which included first, mock placements where students experienced challenges faced in real life while working. Second, dare and bounce a game of throwing balls into buckets. 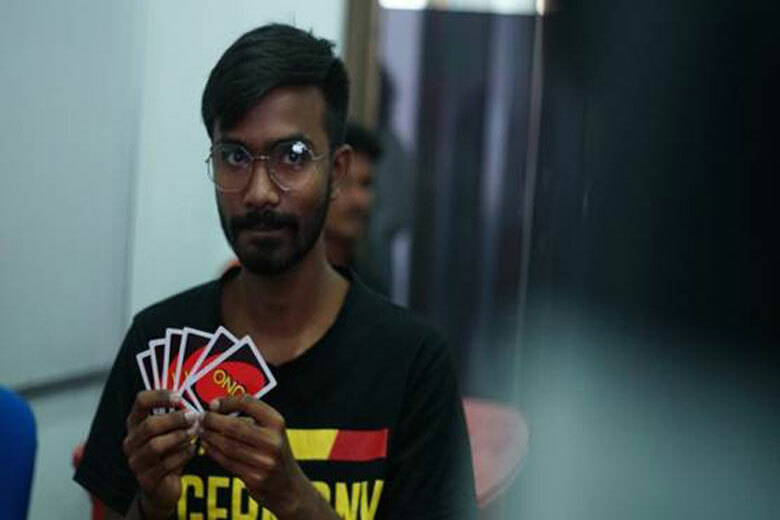 Third, a card game played by five members called Uno. Fourth, whisper challenge and finally the number hunt. 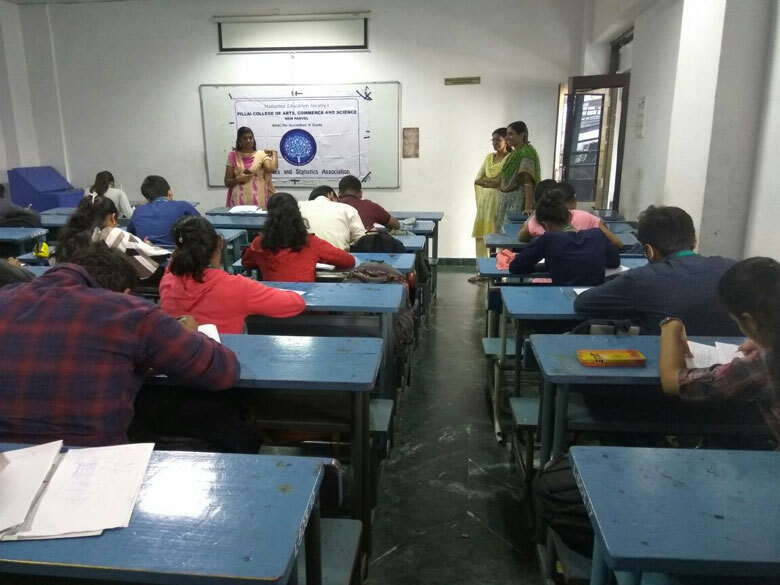 The Mathematics and Statistics Association of Pillai’s College conducted a Quantitative Aptitude Test on 20th August, 2018 at 11:30 a.m., for improving the art of dealing with numbers amongst students. 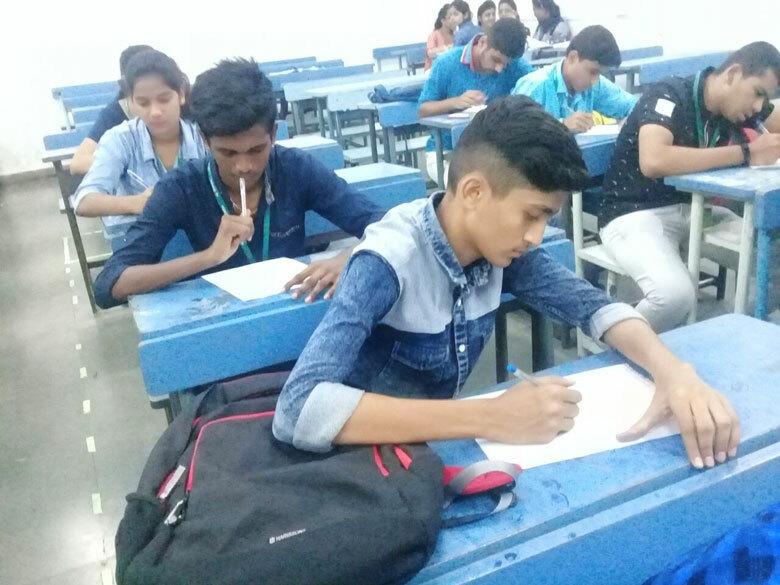 Around 150 students participated in this test. The students were from various streams such as B.Sc.I.T., B.Sc.C.S., B.Com.A/F, B.Sc.Biotech, B.Com.F.M. and B.M.S. The question paper was framed in such a way that it would increase their reasoning ability. The students were enthusiastically answering the questions. 20 students from various streams are selected for the next round - Maths Quiz Pirates. The Members of Mathematics and Statistics Association conducted a Social Activity on Thursday, 19th July, 2018. 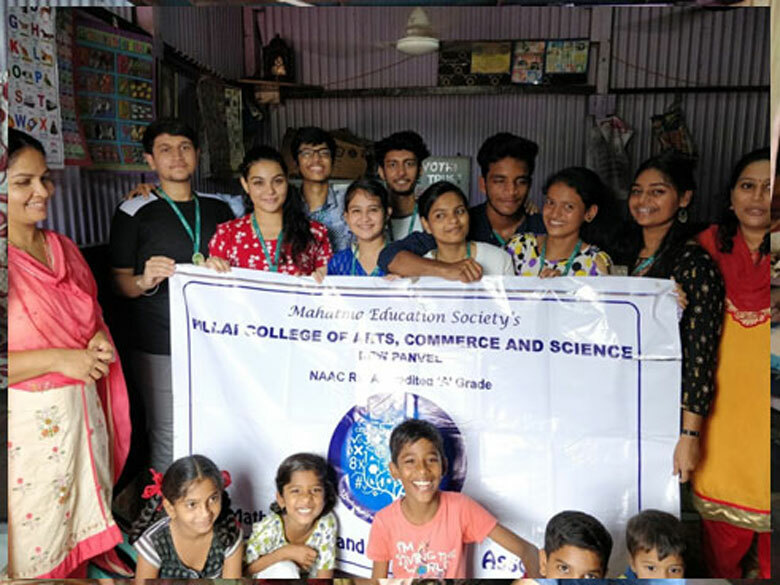 The students and teacher coordinator of Pillai College of Arts, Commerce and Science visited the Jeevan Jyothi Trust Primary School to teach basic Mathematics to the underprivileged students. In order to interact with them, activity like Hands-on Maths was conducted. 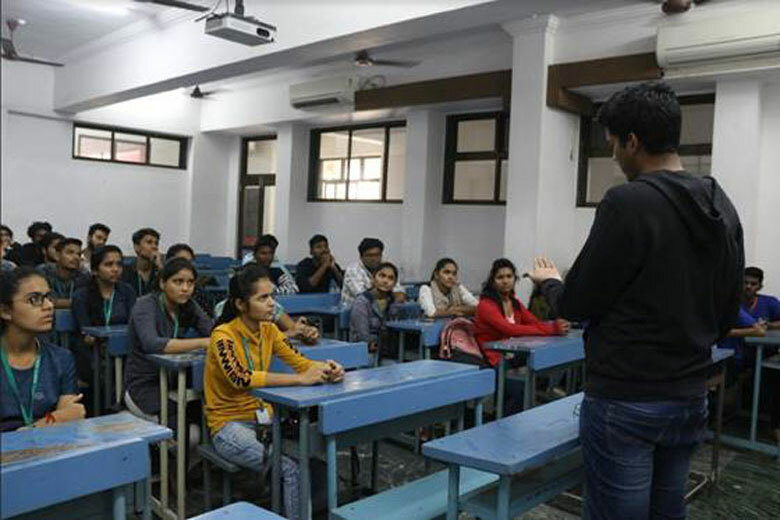 Students actively participated in it with full enthusiasm. 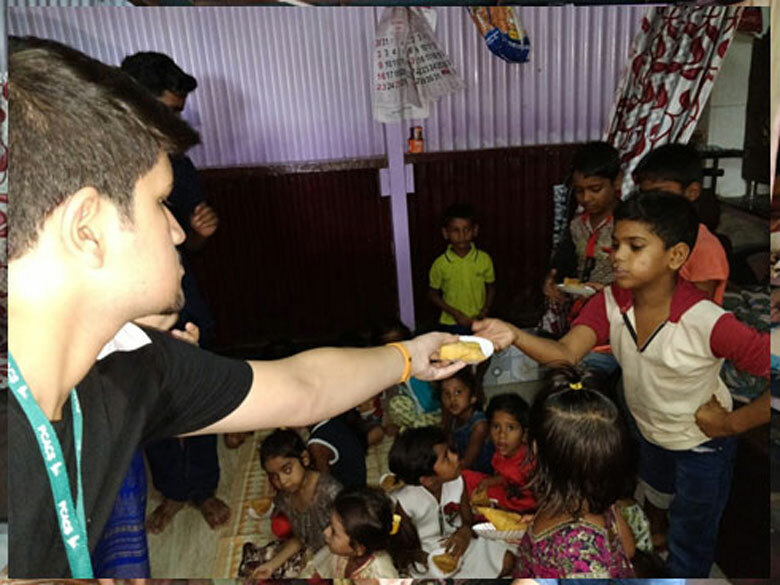 The Activity concluded with the distribution of crayons and snacks to them. Over all, it was an interactive session and the school staff members were contended with it. 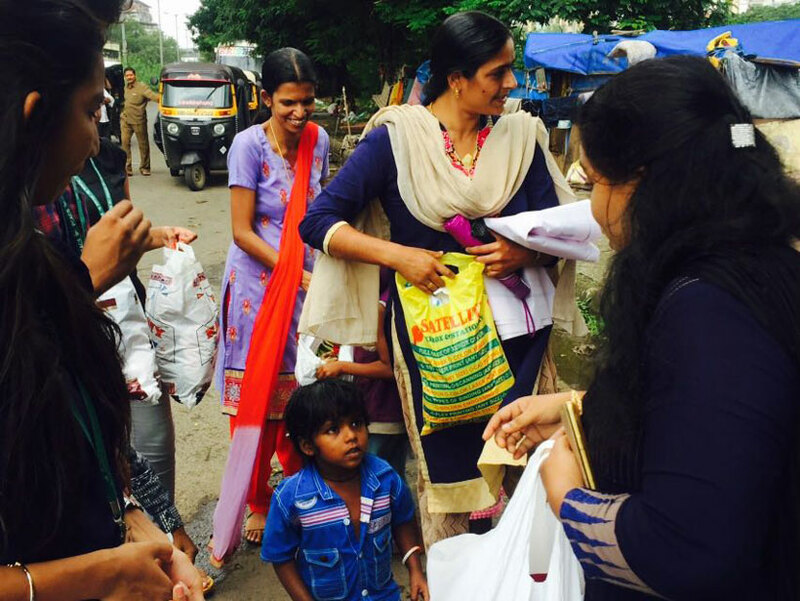 Jeevan Jyothi Trust Primary School is located in the slums near the Panvel Railway Station. It has around forty students belonging to the age group of 3 - 8 years. Mathematics and Statistics Association conducted Social Event for the second term on 23rd March, 2018. 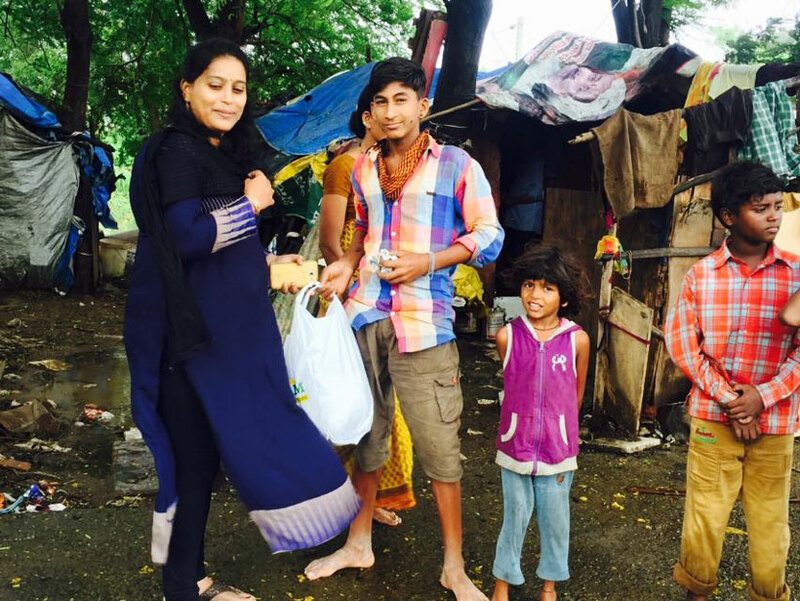 Association members provided lunch for homeless people around the Panvel Railway station. 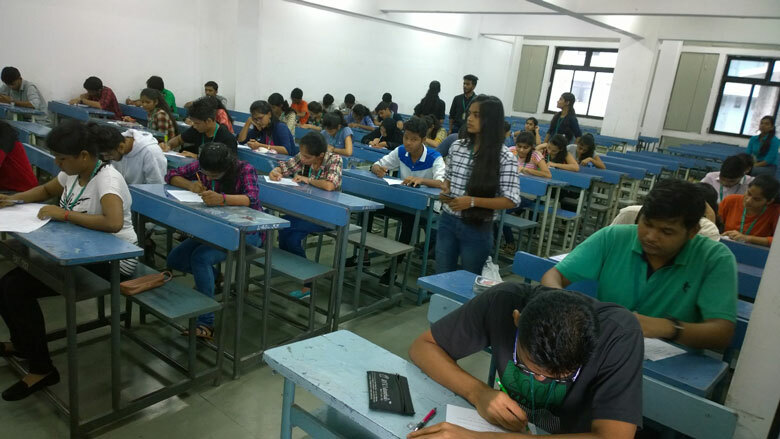 Mathematics and Statistics Association conducted Numerical Ability Test on 22nd December, 2017 Friday. 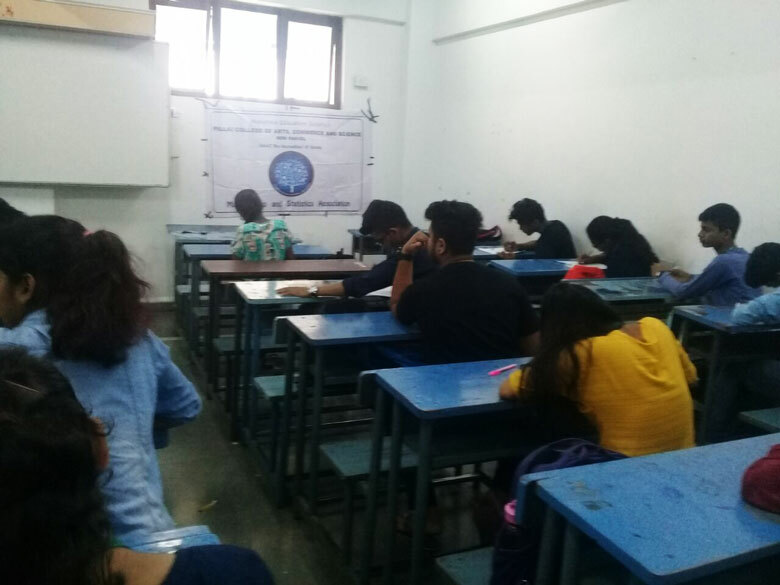 Mathematics and Statistics Association conducted Sudoku Competition on 27th September, 2017. 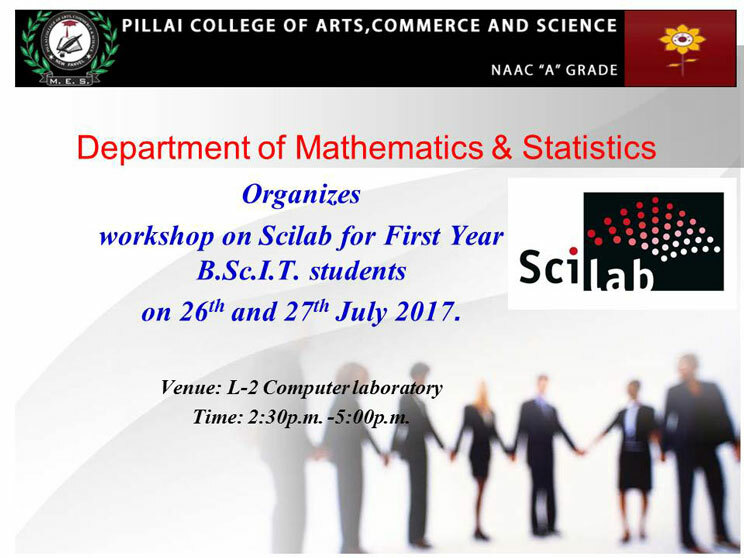 Department of Mathematics and Statistics is organizing a Two Days Workshop on Scilab on 26th and 27th July, 2017 for First Year B.Sc.I.T. students. Resource person: Dr. Sachin Wani. Time : 2:30 p.m - 5:00 p.m. Mathematics Association has conducted a social event on 4th July, 2017. 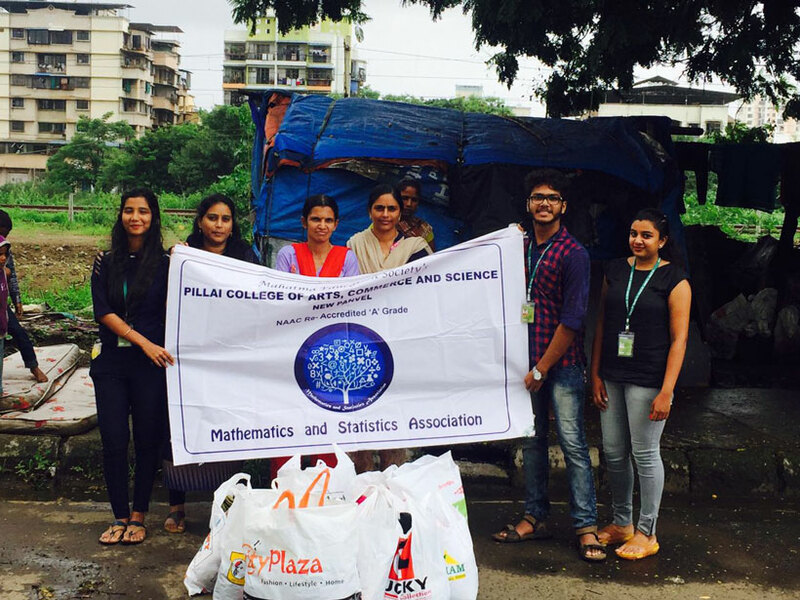 Association members and student representatives visited and distributed clothes to under privileged people who residing in slums in New Panvel area. SUDOKU Competition was conducted on 22nd January, 2014. Around 50 students participated in that event. Mr. Rahul Madhusudan of T.Y.B.M.S. and Miss. Madhushree Patil of F.Y. Computer Science shared the first prize. Seminar on "Maths Puzzles and Logic"
A Seminar was conducted on 16th December, 2013. 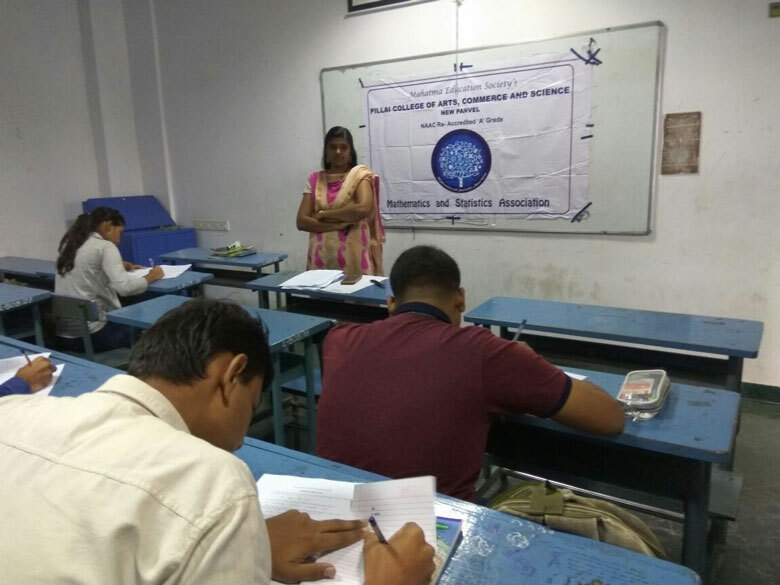 Mrs. Uthara Athawale gave an informative lecture on the topic "Maths Puzzles and Logic". Around 100 student participated in the seminar. An event on 'Numerical Ability Test' was conducted on 24th August, 2013 and the winners are given below. 1st Prize Bose Bishal Gopinath S.Y. B.Sc. C.S. 2nd Prize Sanket S. Wani T.Y.B.M.S. 3rd Prize Maya Singh F.Y.B.Sc. C.S. Mathematics and Statistics Association staff and students spent a day with the children of Jeevan Jyothi School situated in the slum area of Old Panvel on 30th July, 2013. The association donated school bags, chocolates etc. to the children. Mr. Anmol Srivastav F.Y.B.Sc. C.S. Mr. Bishal Bose F.Y.B.Sc. C.S. Miss. Jabeen Z. Masum S.Y.B.Sc. I.T. Mr. Laukik Anant Ambekar F.Y.B.Sc. C.S. Mr. Sanket Santosh Wani S.Y.B.M.S. Prasant Varun Shah F.Y.B.Sc. C.S. Bose Bishal Gopinath F.Y.B.Sc. C.S.